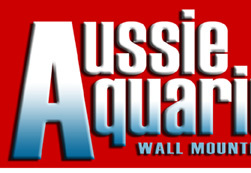 If you live in Southern California and would like a professional installation of your Aussie Aquarium we offer 2 installation packages to suit your needs. 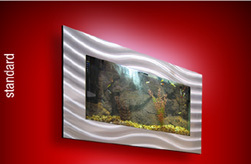 In a basic install, our independent contracted installer will professionally mount and level your aquarium. This includes mounting the steel brackets to your wall studs and securing the aquarium to the brackets. This installation does not include any electrical work. This option is for people who either have electric pre-installed behind the location of the aquarium (recessed outlet) or will be running a cord down the wall to plug into an outlet. This package is $199 anywhere in San Diego county and slightly higher in Orange, Riverside and Los Angeles counties. In a full install, our independent contracted installer will raise an outlet to the required height and install a recessed outlet to be hidden behind the aquarium. He will then professionally mount and level your aquarium. This includes mounting the steel brackets to your wall studs and securing the aquarium to the brackets. This installation includes wiring the aquarium into the new outlet. With this installation no wires or cords will be seen. This package is $299 anywhere in San Diego county and slightly higher in Orange, Riverside and Los Angeles counties. Both installation methods do not include anything beyond mounting the tank. 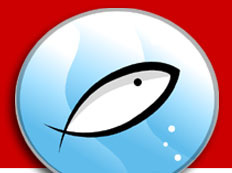 The installer will not add water, fish, plants or gravel to your tank. To setup an appointment for an installation, please call us at 866.768.1615.